What constitutes a “healthy community?” What are the offerings and amenities that contribute to a healthy lifestyle – and how can developers incorporate those attributes for the benefit of community residents? One of the sessions, in particular, focused on the ways in which master-planned communities are integrating healthy design from the earliest stages of planning. Conference attendees heard from a panel comprised of developers whose master-planned communities illustrate some of the key principles of healthy design. Rancho Mission Viejo in Orange County, Calif., for example, offers 10,000 residential units on 17,000 acres, offering ample open space for recreation and healthy activities. Other popular elements discussed by the panel included: walking trails, access to fresh foods, neighborhood parks, dog parks. The Urban Land Institute says that healthy communities offer access to the natural environment, are designed thoughtfully with health in mind, and address unique community issues with innovative, sustainable solutions. This is true in Nocatee's case – a master-planned community built on 12,000 acres of land near the Atlantic Ocean in Northeast Florida. “When Nocatee was first developed, we began with a list of nearly 30 community needs we wanted to address,” says Roger O’Steen, chairman of The PARC Group, Nocatee’s developer. Among the identified needs: community parks, walking trails and new schools – all located close to affordable new homes, shops, restaurants and services. 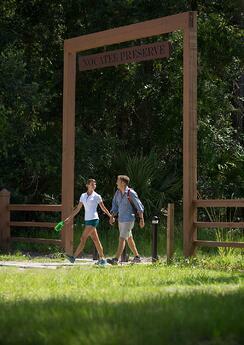 To build a “healthy place,” Nocatee created numerous walking and biking trails throughout the community. In addition, Nocatee residents have access to numerous neighborhood parks and three dog parks, as well as a new kayak and paddle sports launch on the Intracoastal Waterway. New recreational amenities, including a new pool, athletic courts and a community garden, are also currently under construction. Perhaps the most significant element of Nocatee’s planning, however, was its decision to preserve the majority of its land as a perpetual nature preserve. 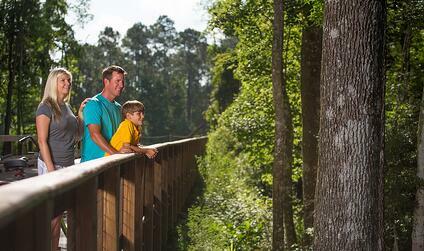 For information on new homes available for sale in Nocatee, visit the Nocatee Welcome Center or call 1-800-NOCATEE.